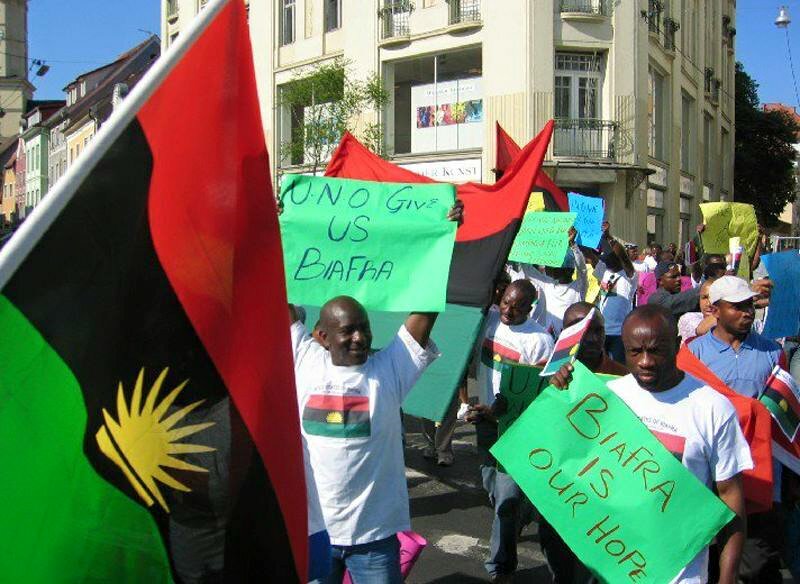 Before I will throttle down in extrapolating the born of contention today, it will be paramount to draw the attention of the friends of Biafra and her foes a like to one obvious fact, which is, this discourse is not in any way fashioned to hypothesize or fantasize but to simply lengthwise the empirical craftsmanship that will possibly make the new nation of Biafra the toast of the world economy. In a more summative sense, this intellectual exercise should not be approximated by anyone to be an over bloated Nationhood self exaltation but to genuinely x-ray and lay bare to the general public the human potentials that will ultimately spurn the instant economic boom in Biafra as a sovereign Nation. There are dozens of testimonies pointing to how secondary school students, university students, road side technicians and automobile mechanics with Biafra DNA around the globe manufactured all forms of miniature technologies such as air planes that can fly to a distance, military hardwares like missiles, petrol cars and other mechanically and electrically informed technologies. I could remember meeting a good friend that bears the name Uchenna Iroha who manufactured a kerosine powered aircraft. He singlehandedly designed and built the aircraft with locally sourced materials. He did all these alone without any atom of assistance from the government and private citizens. Despite the resourceful and innovative disposition of Biafrans, we have remained perpetually caged without any shred of hope. We have the best doctors in the world ( you can ask U.S and UK health care system ). We have some of the promising scientists in the world ( Philip Emeagwali, professor Justus Nwaoga and Chinedu Echeruo ). Biafra is a host to legions of renowned writers in the world ( the likes of Achebe, Cyprian Ekwensi, Elechi Amadi, Okey Ndibe, Chimamanda and Onyeka Nwelu ). We have some of the finest economists in the world ( the likes of Okonjo Iweala, Chukwuma Soludo, Pat Utomi and Oteh ). We have some of the richest, prolific business men and industrialists in Africa ( Innoson Motors, Jim Ovia and Ibeto ) but amidst all these resourceful human deposit, Biafra land is still in comatose when it comes to development. Why? The answer is not far farfetched. This is because Biafra can never harness her potentials within the context of 'one Nigeria'. Nigeria was criminally created to suffocate the ingenuity of Biafrans. Since the forceful consummation of the unholy matrimony called Nigeria by the British economic hitman ( Lord Lugard ), we have been producing the finest brains not only in Nigeria but in the world at large. It is a fact that cannot be pushed out of the picture. Triumphantly, the immediate restoration of Biafra will harness these pool of geniuses scattered all over the world. Certainly, there will be massive restructuring of the educational system that will incubate innovation and creativity. A committee of educationally oriented experts will be assigned to draft a new academic curriculum. Less attention will be paid on theorising. Qualified and visionary teachers will be recruited and admission into educational institutions will be based on merit and not by ethnicity and religion. Our educational system will be research centred. It will harness the best brains that will inspire the needed transformation. World class and high powered technical institutions will be established. Individuals with unique talents will be trained, be it in automobile, electricity and craft. It will be an unprecedented technological transformation that will be instigated through indigenous ingenuity. Through this systematic and effective educational approach, Biafra will become the hub of automobile in the world. Made in Biafra cars will be sold around the globe. Automobile companies will be given a level playing field to compete. Thousands of jobs will be created that will invariably push for a market expansion. Mark my words! Moreover, the problem of lack of electricity will be a bygone issue. We shall utilise the sun that sets from the East in Biafra land to confront electricity generation. Solar systems will become a veritable and clean means of power generation. Our geniuses will also swing into action by using the coal in Enugu State for onward generation of power. After all, the coal in Enugu State can power the whole of West Africa.There will be constant electricity that will power both small and large scale industries and millions of other businesses.This no doubt will evidently herald the coming of Biafra into the league of industrialised Nations. Furthermore, we shall train and retrain our doctors, nurses, radiographers and pharmacists. We shall build a state of the art hospitals that will encourage medical tourism. It is important to note at this very point that, every facets of our live will be given optimum priority. It will be a system that encourages self sufficiency and not dependency. Nobody should have the unprodctive believe that expatriates will be imported to build our new Nation. I will state it again, Biafra shall be built via an unadulterated indigenous ingenuity. Biafra shall send thousands of her experts in all fields to other countries. It will be a huge source of revenue generation for the government. A big goodbye from the old ways ( Nigeria ). We shall ultimately eliminate waste by putting our human potentials into a productive action for onward emancipation of the black race. Biafra automatically will leap frog from not only coming from a backward continent but in becoming an economically and technoligically sophisticated giant powered through peoples oriented development. China will have Biafra to contend with in the global market in the near future. Truly, Biafrans are blessed people and Chukwuokike Abiama in his infinite mercy will always be our ultimate NAVIGATOR. As He navigates us while we overcome all storms in this Biafra restoration mission, I urge Biafrans all over the world to remain resilient and dedicated because in it, Biafra shall be restored for onward utilization of our God given ingenuity. Wow! what a masterpiece. I strongly suggest that this kind of write-ups be published more often to showcase to the world and those that are yet to identify with the Biafra's course what Biafra has got to offer given her independence. Many think when we talk about Biafra, it's because of the oil in the South-South. Thanks for throwing more light as regarding the plans to not have a single focus on oil. Also, I believe that the new nation Biafra will be a nation that exports agricultural produce and products to the rest of the world. I see a highly mechanized agricultural revolution in Biafraland. Oh! God, please hasten the restoration of Biafra. In Jesus Mighty name. Amen.